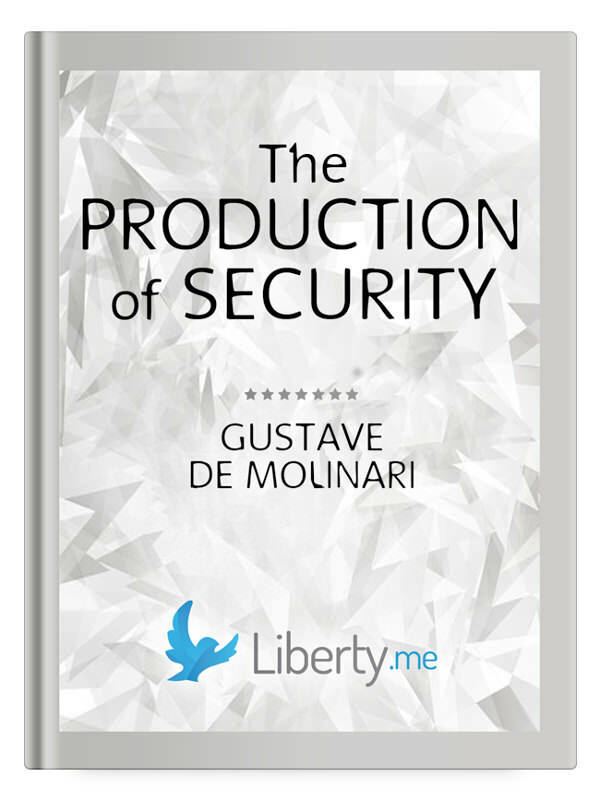 Gustave de Molinari (1819–1912) was the great innovator in the market provision of security. Indeed, he might be regarded as the first proponent of what is called anarchocapitalism. Molinari was steeped in the old liberal worldview of Bastiat and hence was a dedicated champion of private property and free markets. But Molinari took matters further to argue that markets were also better at providing the service that the state claimed was its monopoly privilege: the provision of security itself. His singular contribution, then, was to lead us away from the false assumption of Hobbes that somehow the state was necessary to keep society from devolving into chaos. On the contrary, argued Molinari, the voluntary society is the source of order that comes from freedom itself. There is no contradiction or even tension between liberty and security. If free enterprise works well in one sector, it can work well in other sectors too.